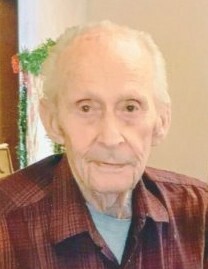 MADISON/SUN PRAIRIE – Wilson Krohn, age 92, arrived at his final destination on Thursday, March 21, 2019, while in the loving arms of his family and friends. Wilson was born on December 18, 1926 in Darlington, WI to Edgar and Margaret (Wilson) Krohn. 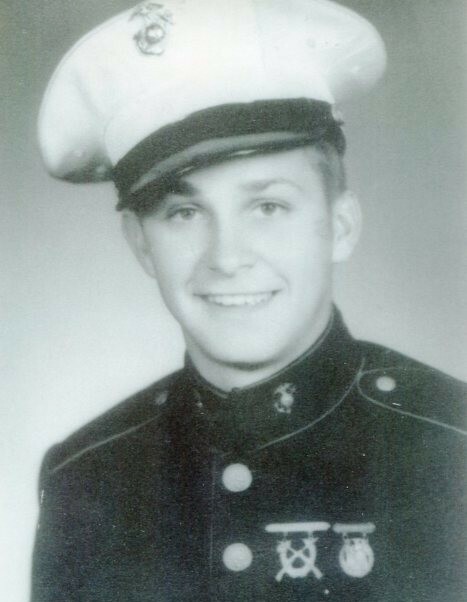 He joined the US Marines on his 17th birthday, fought in the South Pacific in WWII between 1944 and 1945. Battles included Tinian, Marianas Islands, Okinawa, and Ryukyu Islands, occupying Hiroshima, Japan after the atomic bomb. Upon returning home he started his family and began his lifetime career of selling cars well into his 80s. Wilson loved playing pool and was known as “Fast Eddie”, euchre, poker, but especially writing poetry. He was a very proud Marine and was escorted, by his son-in-law Andrew, on the Honor Flight in 2013. Wilson is survived by his children, Kathleen Price, Jane (Ron) Steinhofer, Carl (Joanne) Krohn, and Colleen (Andrew IV) Langum; grandchildren, Matthew Steinhofer, Brent (Tovah) Steinhofer, Kathryn (Paul) McEvilly, Andrew V (Molly) Langum, Alicia Langum, Spencer and Harrison Krohn; 10 great grandchildren; and the mother of his children, Betty Olson. He is preceded in death by his siblings, David Wilson, and Jeanne (Calvin) Ziegler. A Celebration of Life will be held at 11AM on Saturday April 6, 2019 at RYAN FUNERAL HOME, 2418 North Sherman Avenue, with Dexter Newallo presiding. A visitation will be held from 10AM until time of service on Saturday at the funeral home. Burial at Burke Station Cemetery with full Military Honors. 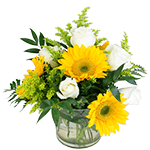 The family would like to thank the staff at Prairie Gardens and Agrace Hospice for their loving and excellent care. A very special thanks to the VA Hospital for always treating Wilson as the hero he was. In lieu of flowers, please make a donation to Agrace Hospice. You will be forever with us, we love you Dad.